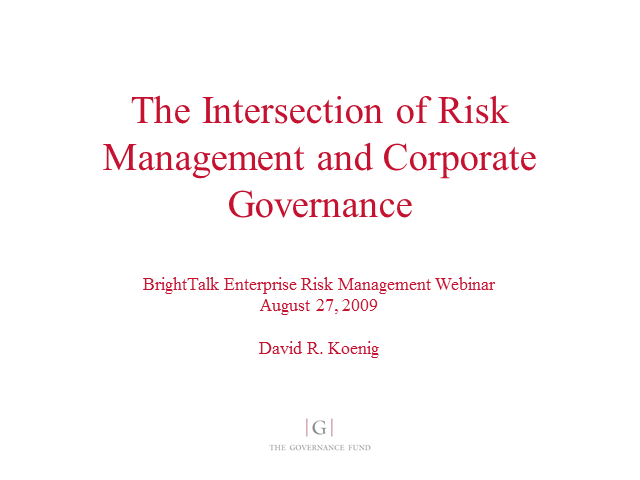 Risk management and corporate governance, particularly the failures thereof, have been receiving substantial attention in the media and in the boardroom. The modern practices in these fields have been evolving rapidly over the past two decades, but examinations of how they create value at firms are relatively few. The speaker will discuss the sources of value generation from these practices, some of which are highly underappreciated, and will look at some of the academic literature that has reviewed whether there is any evidence that value is being created. He’ll also discuss various forms of governance and what he feels is the best construct in a rapidly changing business environment.